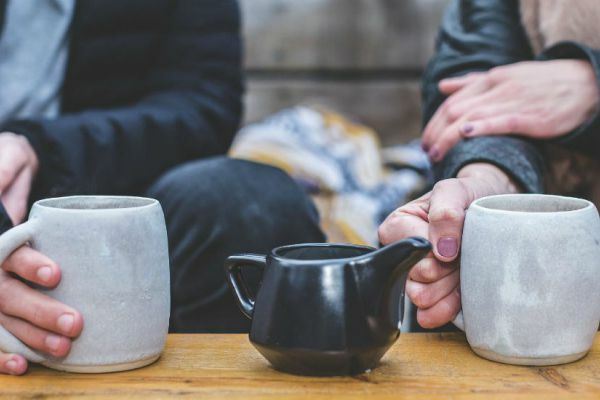 A comfy bed, a tasty breakfast and friendly hosts are undoubtedly up there as some of the most important factors when ensuring your guests enjoy a great stay in your B&B. But what about those little extras? The welcome tray with complimentary drinks and snacks, those fluffy robes to make your guests feel extra cosy, and those luxury individual toiletries that will seriously impress your guests are not to be forgotten about. We know keeping your guest rooms - both bathrooms and bedrooms - fresh and up to date is essential for staying ahead of the game and standing out from competition. That's why we constantly update our catalogue and website with brand new toiletries we know you're going to love. 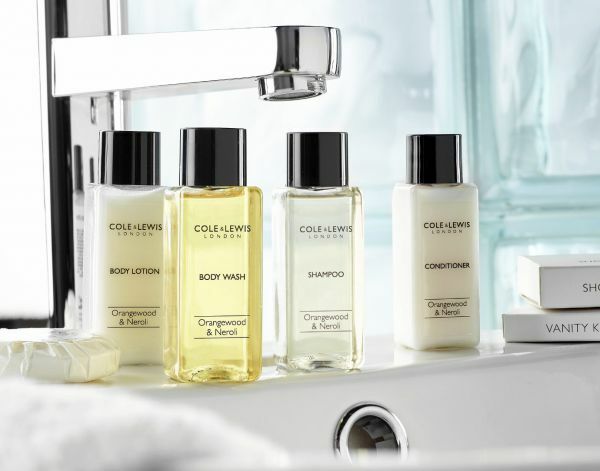 If you’re looking for a toiletry collection that is smart, stylish, but still subtle, then we have the perfect collection for you. 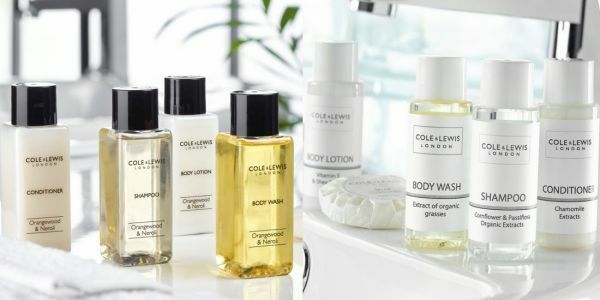 Our brand new Cole & Lewis Orangewood & Neroli range is exclusive to Out of Eden and will guarantee that essential feeling of luxury when treating your visitors to their own selection of premium toiletries. The slimline bottles are striking and modern, contrasted with muted colours to coordinate with any bathroom interior. The collection consists of a refreshing body wash, a nourishing shampoo, a moisturising body lotion and a hydrating conditioner, all wonderfully presented in generous 35ml bottles. The welcome pack for this range also includes a 20g pleat-wrapped soap, a shower cap and vanity kit to ensure your guests have everything they might need during their stay, all packed in a clear, zipped PVC bag. The Orangewood & Neroli collection not only looks great, but smells amazing too. Infused with the fresh, earthy scent of orangewood, paralleled with floral notes of cornflower and passiflora, the fragrance is truly unique and one that is sure to please every guest. The formula itself contains the essential oil of neroli, used predominantly in aromatherapy and renowned for its calming properties. Not only does the sweet, honeyed scent of neroli compliment the collection, but its role as an essential oil is guaranteed to aid with total relaxation. Now we’ve covered everything that this striking collection has to offer, what is it missing? The Orangewood & Neroli toiletry collection has been thoroughly dermatologically tested to ensure there are no nasties that can irritate the skin, while the formula itself contains no BHT, parabens, mineral oils or phenoxyethanol. What’s not to love?! 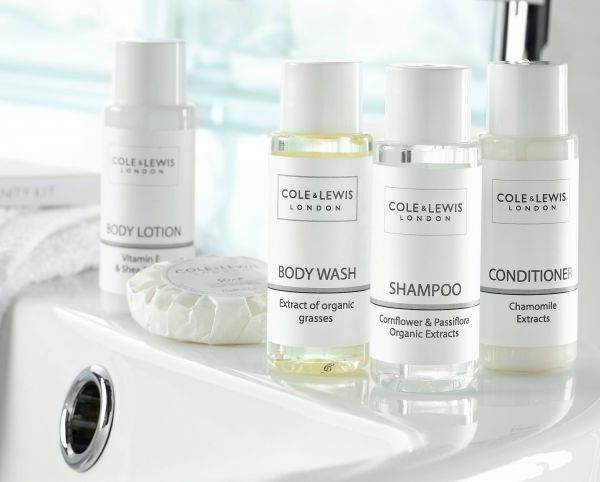 Another addition to the Cole & Lewis toiletry ranges, the White Collection is a perfect affordable choice compared to branded alternatives. The packaging is minimal but charming, and the understated white label will undoubtedly suit any monochrome or muted décor in your guest bathrooms. Enriched with organic extracts such as cornflower, passion flower and chamomile, the formula is full of ingredients renowned for their calming properties. Perhaps the most impressive feature of this charming collection, however, is the fact each individual product in the collection boasts its own unique scent. The conditioning shampoo offers fruity top notes of peach and fig leaves, with heart notes of juicy apricot and papaya, and base notes of earthy cedar wood and sandalwood to balance out the sweetness for a truly fruity and floral scent. The hydrating conditioner will not only leave hair silky smooth and tangle-free, but smelling wonderful too. With top notes of refreshing mint and soothing lavender and base notes of musk and amber, the scent will be a firm favourite for refreshing your guests. For soft and supple skin, the luxurious White Collection body lotion is sure to do the job, enriched with shea butter and vitamin E known for their nourishing properties. Skin will be left lightly scented with the sweet notes of peach and geranium, with base notes of soothing honey and cosy cinnamon vanilla. Finally, the body wash is enriched with sources of vitamin E to nourish the skin, while the bergamot, peach and cedar wood fragrance will leave skin smelling wonderful. The welcome pack also contains a 20g pleat-wrapped soap, a vanity kit and a shower cap. Just like the Orangewood & Neroli collection, each product in the range is free from phenoxyethanol, parabens and mineral oils, and is vigorously dermatologically tested to ensure you only offer your guests the very best. 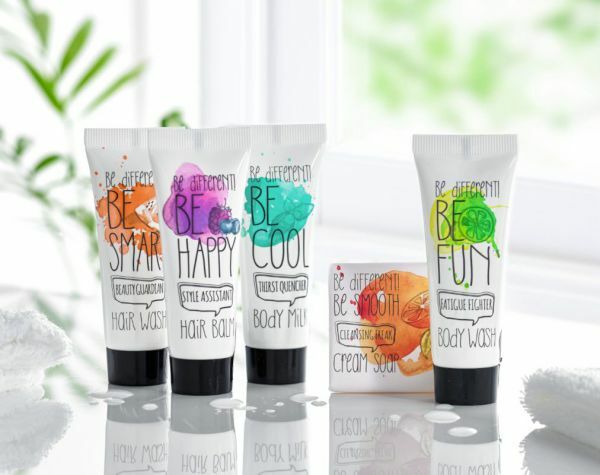 Be Different is a new range of in-vogue, contemporary, and super cool guest toiletries for globetrotters, trendsetters, the young and the young at heart. The distinctive modern design, the fruity scents, and the positive messages are all about bringing fun to the bathroom. The body wash is a fun fatigue fighter, awash with refreshing zesty citrus lime. The hair wash is your beauty guardian, helping you to be smart with its fresh and fruity aroma of watermelon. The body milk is a super cool and invigorating minty thirst quencher for your skin, and the hair balm is a wonderfully happy style assistant bursting with summer berries. Last but not least, the cleansing freak cream soap delivers a sweet scent of orange to help you Be Different and Be Smooth. The body wash, hair wash, hair balm and body milk all come in 25ml tubes with individual designs, and the cream soap comes in either 12g or 20g bars. Fair CosmEthics. 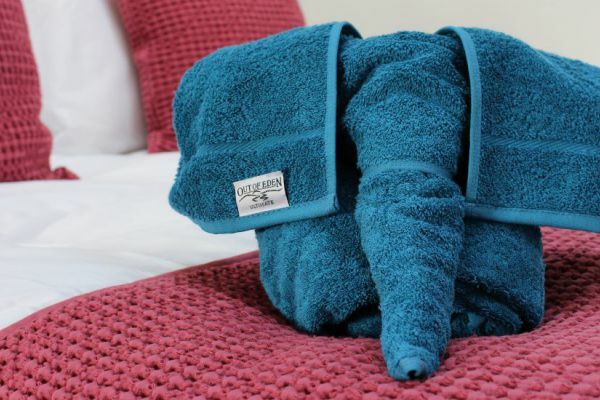 The name says it all, and we love this new range of hotel, bed and breakfast, and self-catering guest toiletries for all the right reasons. First of all, they’re really lovely products! The soft and creamy body cleanser and the invigorating shampoo are both made with Fairtrade Cane Sugar, while the silky hair conditioner, the soothing body lotion, and the sensual soap are all made with Fairtrade Brazil Nut Oil. The complete range, without exception, make for a wonderfully luxuriant and pampered bathroom experience - we know, because we’ve tried them all extensively. They’re all beautifully packaged too, with a attractive and understated design which looks superbly stylish in any setting. The shampoo, conditioner, body wash, and body lotion come in 30ml tubes; and the soap is available in either 15g or 25g bars. There’s also a matching accessories set which includes a vanity set, shower cap, nail file and sewing kit. 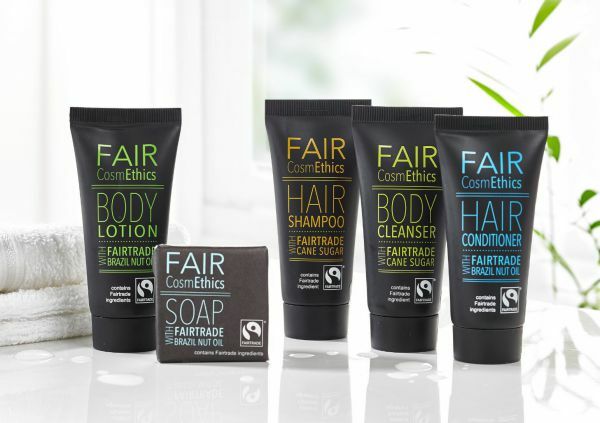 Of course, it’s not just the quality of the products which sets the Fair CosmEthics range apart. The trusted Fairtrade certification mean the ingredients are grown without using harmful chemicals, the farmers who produce them get a fair price, and everything is grown under strictly implemented labour standards. The Fairtrade seal of approval on these wonderful guest toiletries shows your commitment to a fairer society which promotes modern and sustainable farming methods, ensures fair pay and decent conditions for farmers and their workers, and helps towards infrastructure projects like schools, wells for fresh drinking water, and hospitals. Fair CosmEthics care for and pamper your guests, and at the same time care for the planet and its people. Whether you choose toiletries that are jam-packed with Fairtrade ingredients, offer fun and funky packaging to match your own ethos, or want something minimal and charming for a muted décor, make sure they reflect your own style and values to really tie the whole business together. 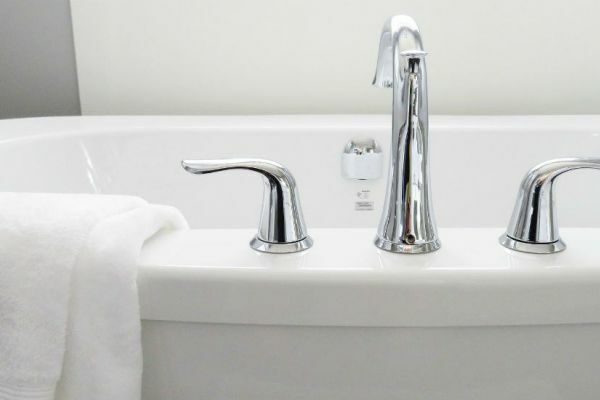 You can shop all of our toiletry collections, here. In-room refreshments are more than an essential pick-me-up for your guests, they’re a staple part of the quintessentially British guest experience. Here's our top picks!